Over the years I have grown in love with the voice of Francesca Battistelli. When I saw she was releasing an album titled Christmas, I knew I had to get it. The album doesn't necessarily have the most creative of titles, but as the saying goes, it does what it says on the tin. As an overview, this album has a mix of traditional songs, some cheesy Christmas songs and some happy funny songs. It mixes together everything we love about Christmas. Read More Over the years I have grown in love with the voice of Francesca Battistelli. When I saw she was releasing an album titled Christmas, I knew I had to get it. The album doesn't necessarily have the most creative of titles, but as the saying goes, it does what it says on the tin. The album opens with a track titled The Christmas Song. It sounds like a 50's nostalgic jazz song, with a very joyous feel to it. For me this upbeat number is a classic from the off, and one to really get you in that smiley Christmas mood. Heaven Everywhere is a bit of a fluffy snowy kind of song, you can't not listen to this and fall in love with the whole Christmas feeling over and over again. It has an airy fresh feel to the music that puts images of snowy roads and fields in my mind. There a few different styles on this album, but Christmas Is talks about the funny side of about what Christmas is all about for some. 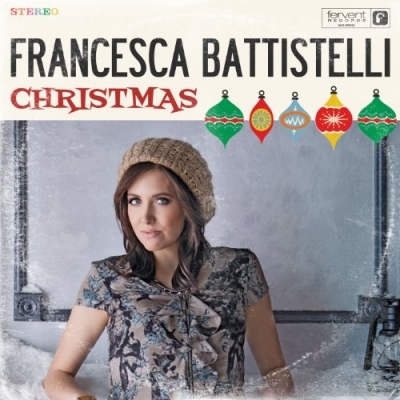 The song talks about carols, tinsel and everything that goes along with the festive period, good or bad - Francesca talks about it. I love the lyrics of the chorus "Christmas is Coming... I've been counting down the days all year". This is a real feel-good song. From happy upbeat, maybe even a little bit cheesy, to the more traditional sounding tracks. We find songs like What Child is This and O Come, O Come, Emmanuel'. Both songs use bells and chimes to create that Christmas musical feeling. But these more traditional songs have that power to make the hairs on the back of your next stand up. Francesca's voice sounds brilliant, especially on the haunting O Come, O Come, Emmanuel. These songs are truly beautiful worship songs about Jesus being born. If there was ever a marmite song on an album, Marshmallow World is that song. Some people will love this happy go lucky cheesy pop track, others will most definitely not! I'll let you decide, but the song title sums it up for me. We soon jump back to a more jazz feel with a cover of the classic Have Yourself A Merry Little Christmas. There is some beautiful piano work on this track and the same could be said of the stunning Christmas Dreams, which sounds like you're in an American Jazz club. This album mixes together great Jazz numbers with modern version of traditional carols and happy upbeat cheesy numbers, but the album gets away with it all. This album could be used in a few different settings. I could sit and listen to some of these songs by a fire, I could listen to them in a worship setting over Christmas, and I could put this album on and dance around the living room wrapping presents. There is so much on this album to explore.